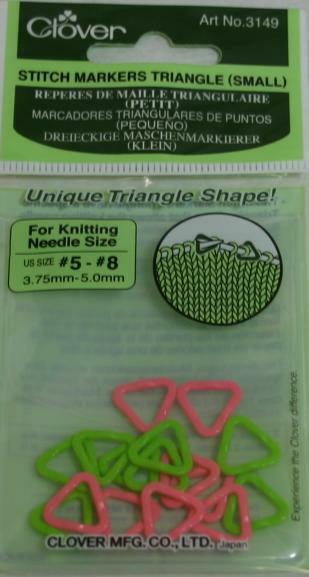 Clover small stitch ring markers, unique triangular shape for #5-#8 (3.75-5.0 mm) needles. Each packet contains 16+ markers. Colors may vary.